In Asia, mainly in China and Vietnam, more than 15,000 bears are held in brutal captivity, for the purpose of extracting their bile, which is used in outdated traditional Chinese medicine. Most of the bears used are the endangered Asiatic moon bears, although sometimes the larger brown bears or the smaller sun bears are used. These bears are either trapped from the wild, babies snatched from their mothers or bred in captivity. Many bears are missing limbs from being snarled in traps or deliberately amputated for bear paw soup. These poor bears are held in cages literally the size of coffins, and receive very little food or water, let alone proper veterinary care. Almost daily, they are milked for the bile, in the most painful way, through rusty catheters, medicinal pumps, or even through free drip methods, where holes are drilled into their bellies. Some bears have to endure wearing barbaric metal jackets with neck spikes. Because of their stoic and resilient nature, they can survive for up to 30 years in this unimaginable torture. Animals Asia Foundation is working tirelessly to rescue and rehabilitate as many bears as possible and now have 2 beautiful, award winning bear sanctuaries in Chengdou, China and Hanou, Vietnam. 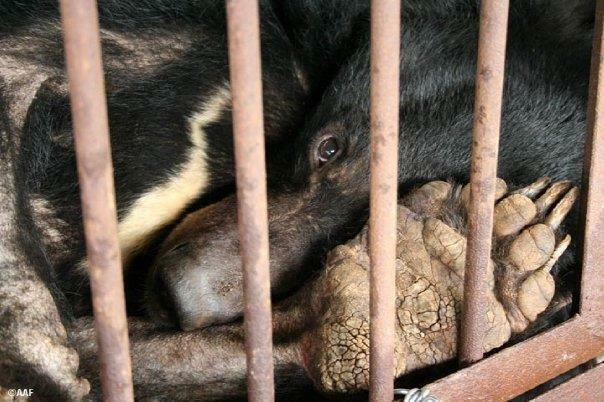 Recently, a bear bile farmer has surrendered his farm to AAF in Nanning, China and this farm is now being converted to a sanctuary. In total, AAF is caring for more than 500 bears. Besides saving the bears directly, AAF is raising public awareness about the bear bile trade, exposing the horrors to the media, working with the various governments to invoke change, and showing that there are many other herbal remedies that are even more effective than bear bile. 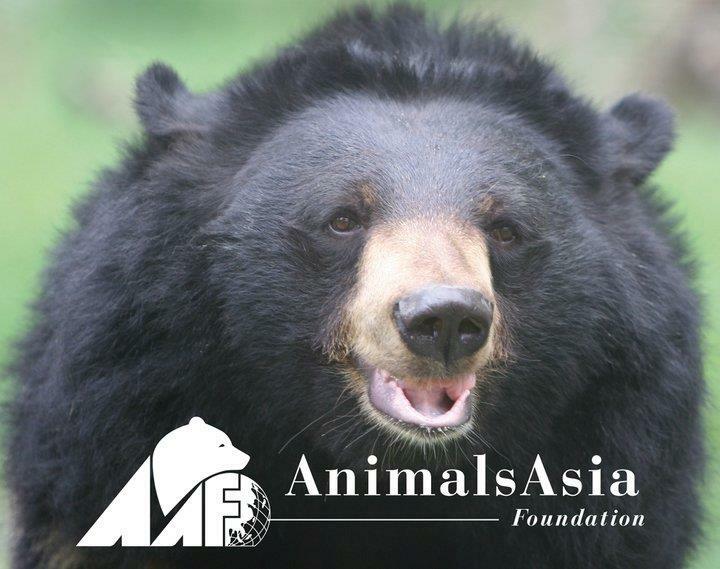 Peace Fur Paws Inc. is so very proud to be affiliated with Animals Asia and we hope one day, bear bile farming will be abolished once and for all. There is still much work to be done as over 10,000 bears are still held at in least 97 farms. Lamma, the sun bear. Photograph by Jo-Anne McArthur / Animals Asia. A rescued bear’s new home. Photograph by Jo-Anne McArthur / Animals Asia. 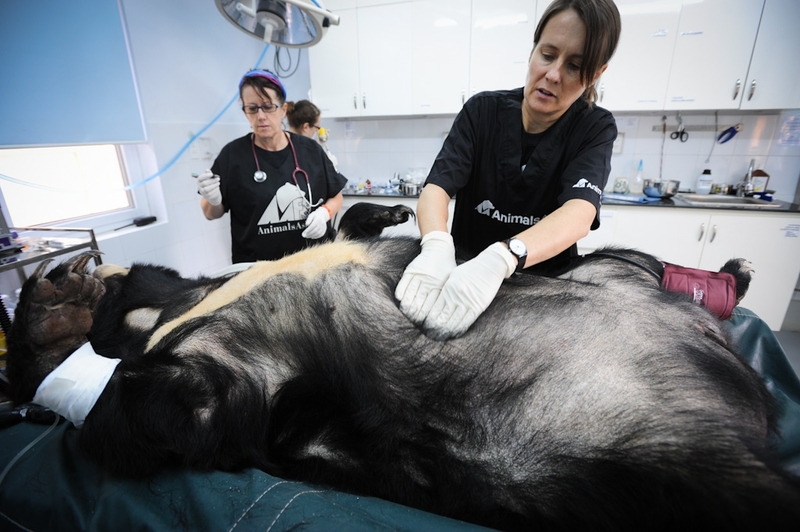 Helina bear, Kirsty Officer and Ray Joy during Helina’s health check. Photograph by Jo-Anne McArthur / Animals Asia.